It was an early Start to day 2. A bit of over night rain, but had long dried out by the time the first stage got underway. Hundreds of crowds of fans gathered around the famous El Molar hairpin on the mornings Stage 7. After the gravel of day 1 it was on the black stuff, and of course the Tarmac skills of Super Seb Claimed the fastest time, with 2nd placed Flying Finn Jari-Matti Latvala 4.3 slower. Loeb continued his winning pace for all this mornings stages. 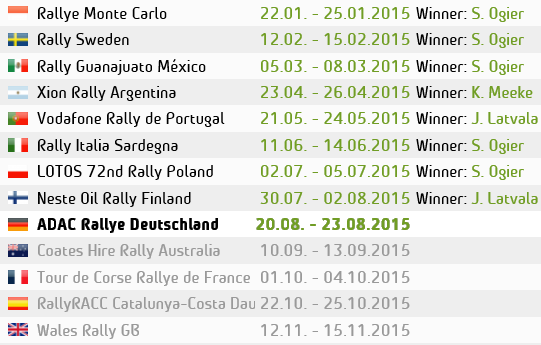 There was drama for Seb Ogier. Just 3 points off the championship standings top spot, he needs to be at the top for any hope of getting the title, unfortunately he had anther puncture on Stage 7 which dropped him down to 6th overall. Mikko Hirvonen was still holding 3rd place by Midday service, but over 1 min and 30 seconds off the lead, and not really showing good pace this morning. 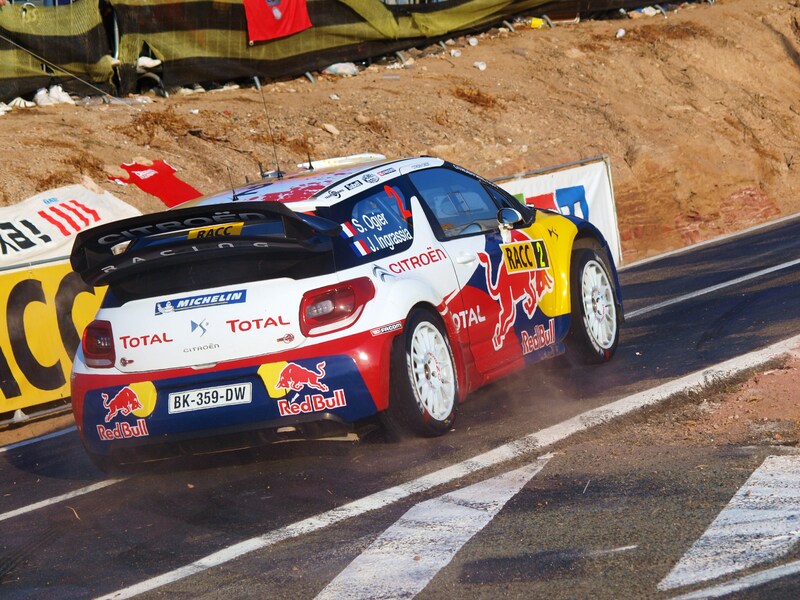 In the afternoon loop, Jari set stunning pace and even surprised Loeb by going fastest. Dani then gave his home fans something to cheer for by taking the win on the following stage. On the final stage of the day, Latvala again was quickest, and impressed Loeb with his stunning pace on tarmac this afternoon. Loeb saying “Latvala is very, very fast, it’s very surprising on Tarmac”. Jari-Matti Latvala clearly very happy with his performance and possible the man of the rally so far, although he still holds 2nd overall at the end of the day. “It’s been the best day of my career on Tarmac, To be fighting in Catalunya and putting pressure on Loeb, I haven’t been able to catch him in front but good day”. Mikko Hirvonen finally show good pace on the final stage, going 2nd fastest and even going quicker than Loeb who was just 4th fastest in the final Stage. But the Frenchman still holds the lead going into the final day tomorrow by 27.6 seconds. Hirvonen ends the day in 3rd, but under increasing pressure from home boy and Mini driver Dani Sordo who holds 4th. Ogier is 5th after dropping down due to a puncture, other Mini Works driver Kris Meeke hold 6th and will be hoping to get to the end of this event as he’s yet to reach the finish of an event this season. Mads Ostberg still heads the Stobart team in 7th, although had to repair a break problem which affected him this morning, with team mate and fellow Norwegian henning Solberg behind in 8th. Evgeny Novikov on his debut in the DS3 is 9th, with Brit Matt Wilson rounding out the top 10. 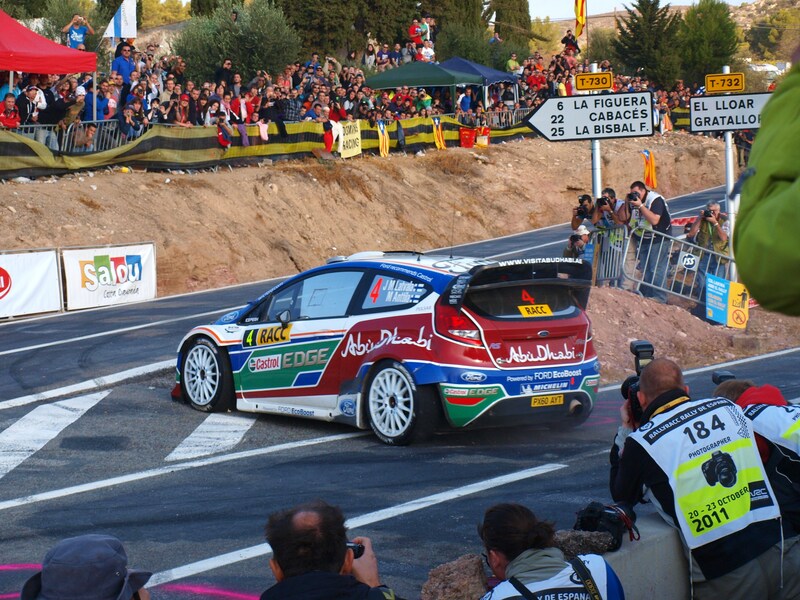 This entry was posted in WRC and tagged rally, Spain, WRC. Bookmark the permalink.